Political instability in Iraq has had serious consequences for children. 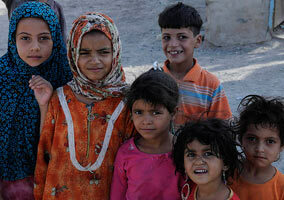 As a result, Iraqi children struggle daily due to difficult living conditions. A quarter of the Iraqi population lives under the poverty line. Hence, it is estimated that about 3.5 million children are affected by poverty. This has caused serious problems especially for children because it renders them incapable of enjoying their most basic rights. 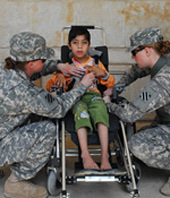 The health of Iraqi children has been severely affected as a result of the war in 2003 led by the United States. The child mortality rate under the age of 5 is continuing to worsen and an estimated 1.5 million children are suffering from malnutrition. 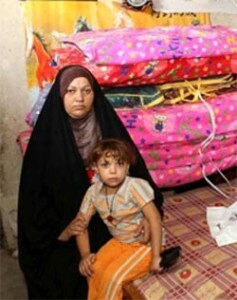 Indeed, one in ten Iraqi children has an abnormal weight for their age. The war has equally had a detrimental effect on the mental health of children. Majority of the children suffer mental trauma due to events caused by the war. It is clear that the war created stress, panic and fear of death in the minds of these children thereby incorporating such emotions into their daily lives. Education is free and compulsory up until the age of 12. However, the lack of facilities and the over crowded classrooms do not allow the children to benefit from and gain a quality education. Furthermore, children with disabilities and displaced children do not have access to education. 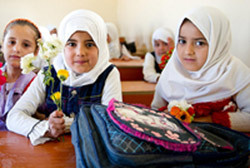 The instability in Iraq has had a negative impact on the right to education. This is evident in some schools, primary and secondary having been closed down and more than twenty schools been demolished. The Iraqi Constitution provides that any person, who is born to at least one Iraqi parent, is a citizen and can enjoy the rights agreed by the government. However, a child without Iraqi parents is not eligible for the same rights and their family must pay, for example, for state education and health services. In some rare exceptions, such a child would not eligible for the food rations programme. In Iraq, many children are victims of psychological and physical violence. Discipline is very important in Iraqi society and continues to dominate the child- parent relationship. Likewise, the authorities as well as educators do not hesitate to use violence to enforce order. These acts of violence have tragic consequences for the children as they tend to reproduce these abusive acts themselves. Iraq is an unstable country and is prone to large numbers of terrorist attacks. Children represent approximately 8.1% of the total number of people killed in these attacks. They are often the victims of explosive devices and car bombs. According to the Moroccan Organisation of Human Rights, more than 174 children will have been killed and 773 injured in 2010. In addition, children are equally affected by the millions of bombs and anti-personal mines spread over certain parts of the nation. According to the United Nations Development Programme, since 1991, more than one million Iraqi children have become victims of such activities. Large numbers of children are still being recruited by armed groups and particularly by terrorist networks. They are often exploited in the name of surveillance, espionage or taking part in and perpetrating attacks against armed forces and civilians. Child soldiers go unnoticed by the forces and therefore risk jeopardising the mission to which they were assigned, less than adult soldiers might. The political instability prevalent in Iraq provokes population movement the across the borders. Vast numbers of children find themselves in precarious situations. Without access to sufficient food, education and health care, these displaced children are forced to live in extremely difficult conditions. Iraq is a country with large numbers of orphans. One in every six Iraqi citizens is an orphan. The causes are diverse and they include poverty, HIV/Aids, the war in 2003, terrorist attacks or resulting consequences of Saddam Hussein’s dictatorship which caused a large number of deaths. The Iraqi law does not provide for adoption. Guardianship of the extended family, or close friends is the only possibility. Strangers cannot therefore acquire rights to legal guardianship of Iraqi children. Despite the laws against child labour, large numbers of children are compelled to earn money in order to fulfil their basic needs. These children spend their days begging on the streets or selling cigarettes to drivers. Such activity is seen as being detrimental to their health and their education. The situation is made worse as some of them end up trafficking drugs and in prostitution networks. 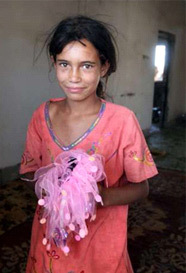 The trade of children is a well-known phenomenon in Iraq and particularly in the region of Kurdistan. It is a problem which affects particularly young girls, who are sold to become servants or to feed prostitution networks. In Iraq, prostitution is not illegal. On the contrary, the production of, importation of or the act of possessing pornographic photographs or films is prohibited. Although progress has been made with improving living conditions of minors detained in prison environments, they are still overpopulated. What’s more, these children are often victims of abuse and exploitation. Unfortunately, it is deplorable that minors are still in prison establishments for adults. The female genital mutilation, which is not illegal, is widely practised in the rural regions, particularly in Kurdistan. 90% of women living in the rural regions have been mutilated and 30% in the urban areas. The MFG has serious consequences for health, frequently provoking haemorrhages and infections. 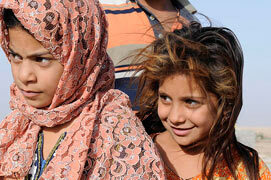 It has been noted that there are a lot of kidnappings of children in Iraq. In 2010, more than 31 children have been recorded as kidnapped. Money is often the main motivation for the kidnappers. In the majority of cases, it is unfortunate to note that in the event the family refuses to pay the random, the kidnapped child is often killed.